Cinemum is back at the Eden Cinemas! This time with two of the most popular children movies around, ‘Peppa Pig, My first Cinema Experience’ and ‘Thomas the Train, Big World Big Adventures’. 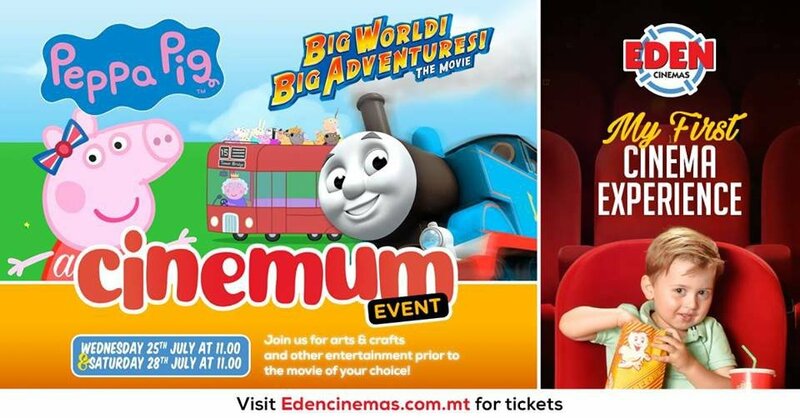 This year’s Cinemum, ensures that your child’s first cinema experience will be the very best it can be! Activities before the movies start at 11 a.m. Movies start at 11.30 am.